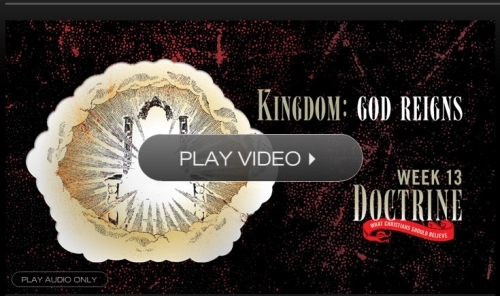 A while back, Mars Hill church did a series called ‘Doctrine‘. The series is 12 or 13 parts, and is designed to give new or young believers an overview of the major foundational beliefs of the Christian faith. The last teaching in the series is called, “Kingdom: God Reigns“. In it, pastor Mark Driscoll teaches the entire book of Revelation in about an hour and 20 minutes. Check it out. You can listen to it or watch it for free on the Mars Hill website.